GTM Owners Club Forum - View topic - Can I convert from remote to rod change? Can I convert from remote to rod change? 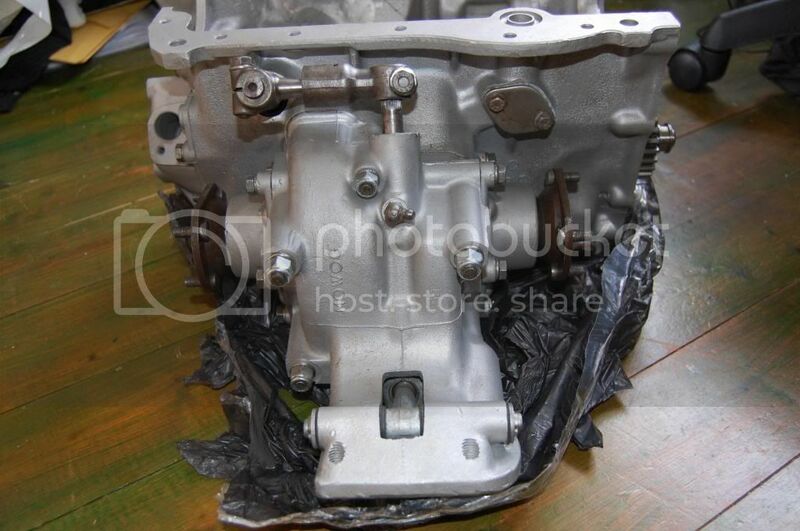 Quick question - I have a 1275 engine and gearbox that I intend to use as the basis for my Rossa engine. Its a remote change gearbox but I understand that it must be a rod change - is it possible to covert to a rod change or will I have to swap the gearbox entirely?? Re: Can I convert from remote to rod change? From working on minis , you cannot convert remote to rod change the gearbox casings are completely different. As the engine is now behind you in a GTM, the gear linkage has to go under the engine and gearbox to get to the gearchange on the gearbox. With the rod change the modification to the gearchange is relatively easy. 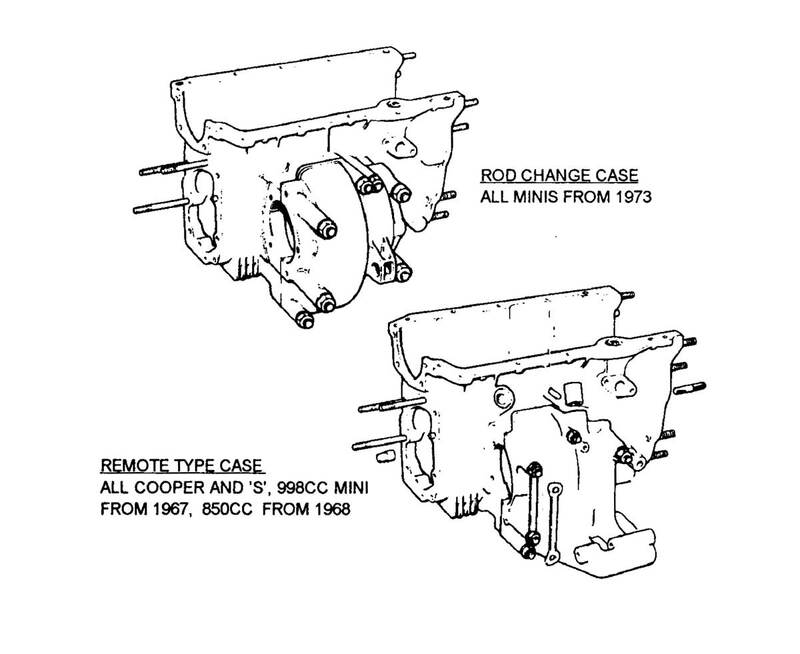 You would have to change the rear section of the diff casing and even then there is no guarantee that it would work as the two halves of the casing are machined while bolted together in the factory so fitting a different rear casting may well result in a mismatch between the two sections leading to misaligned bearings and oil leaks. I know some people have done this and got away with it but it's not something I would want to try. Looks like I'll have to swap the box for a rod change example. One further question - is it possible to use an A+ box with an earlier A series block? I think the A+ box is supposed to be stronger so if I'm swapping I'll go for one of these in preference. The A+ refers to the engine in the later minis, metros, whether they changed the box I don't know. Just had a quick look on the mini forum seems little difference between the boxes, except diff ratios and gear ratios, and as you know the rod/ remote. But a stronger box, no not so you would notice, unless you go down the straight cut gears etc. Just get a good condition box or good built box. If you use an A+ box you also need the A+ drop gears and transmission casing as the idler gear bearings are bigger (and stronger). It's worth doing if you can get the parts at a reasonable price.